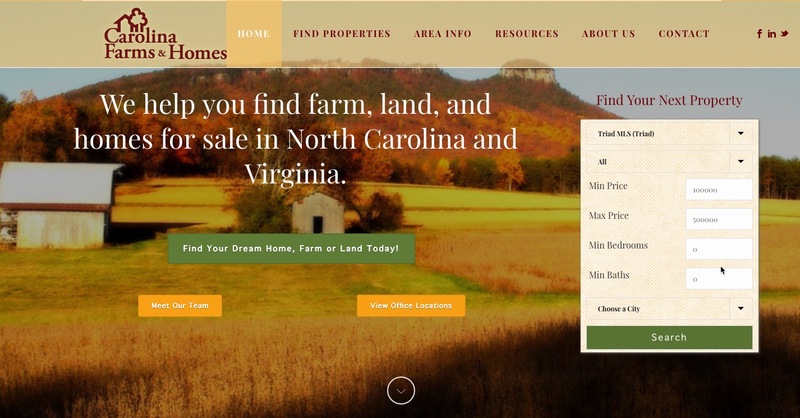 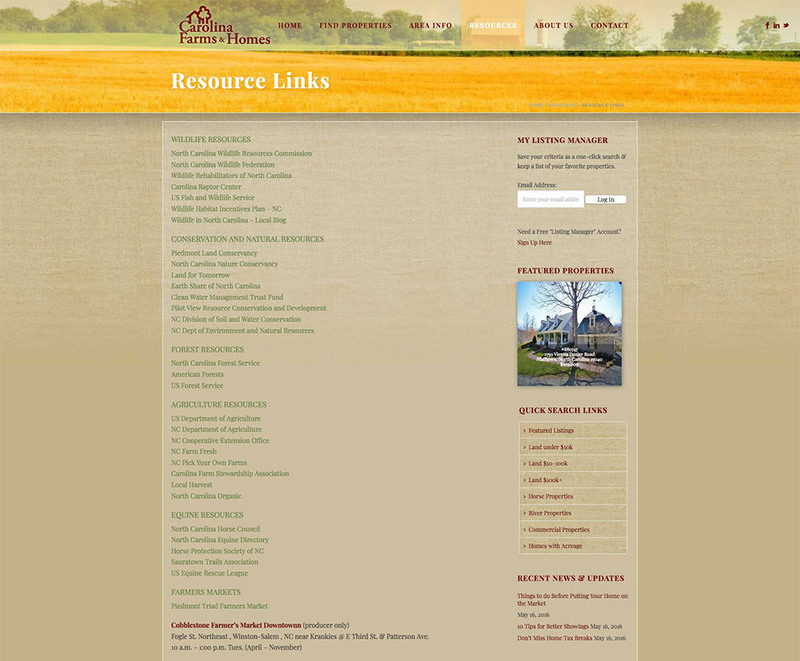 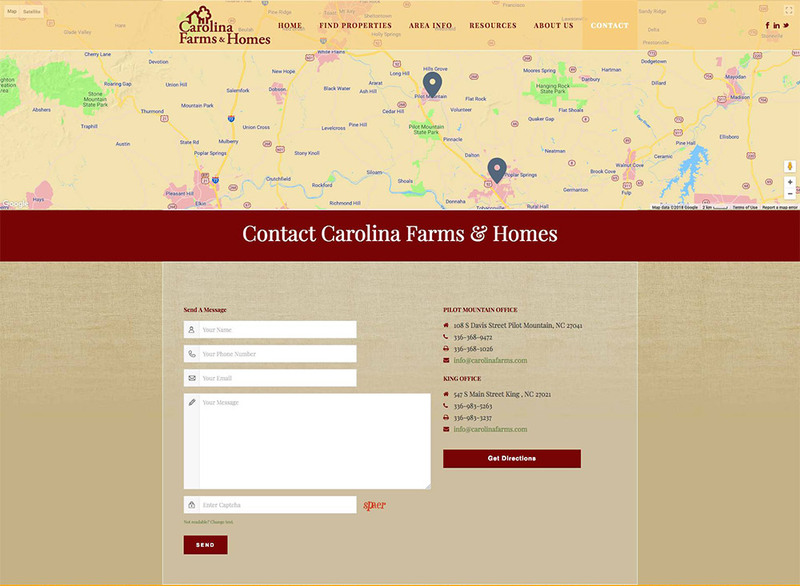 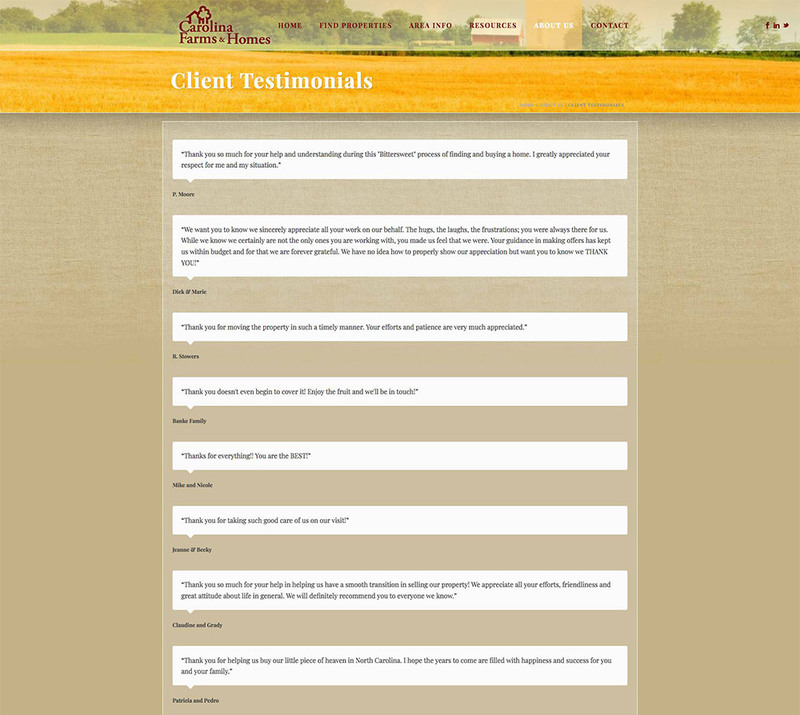 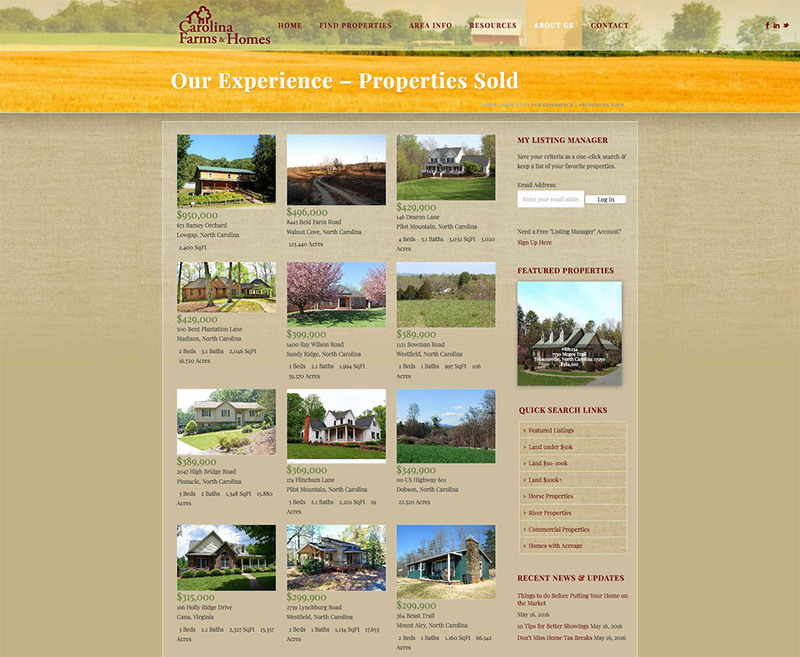 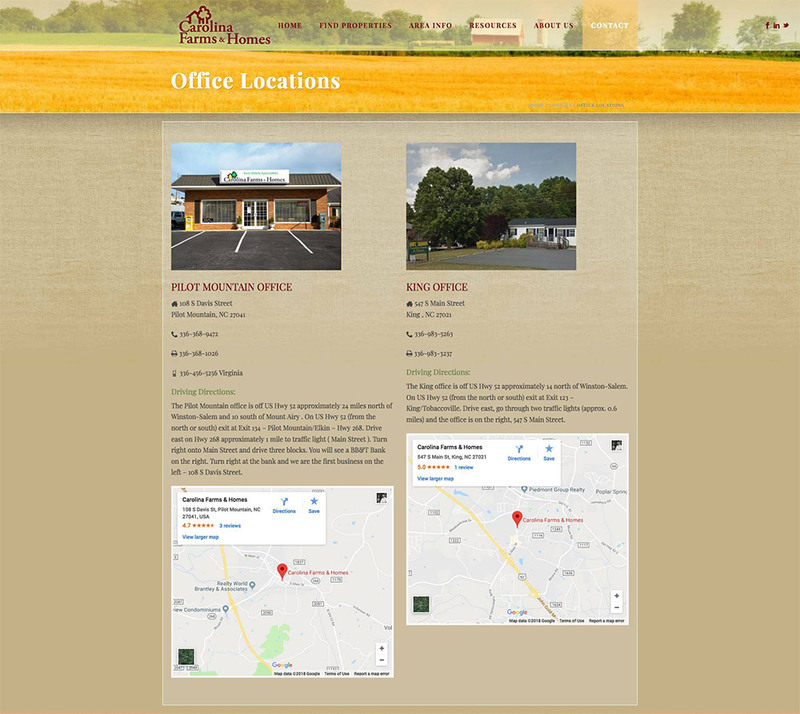 A MLS/IDX integrated website built for Carolina Farms & Homes, a more rural real estate company that specializes in farms, land and rural homes in Central North Carolina and Virginia. 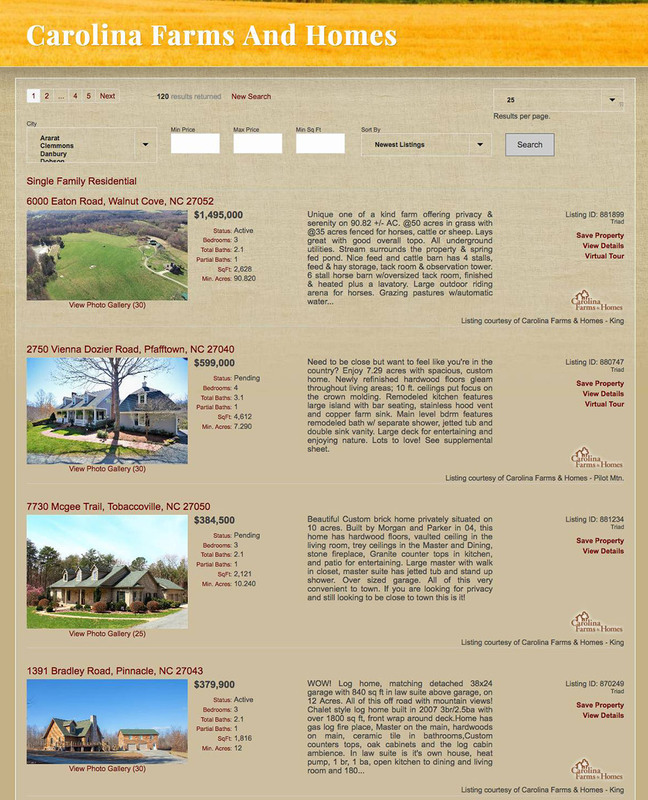 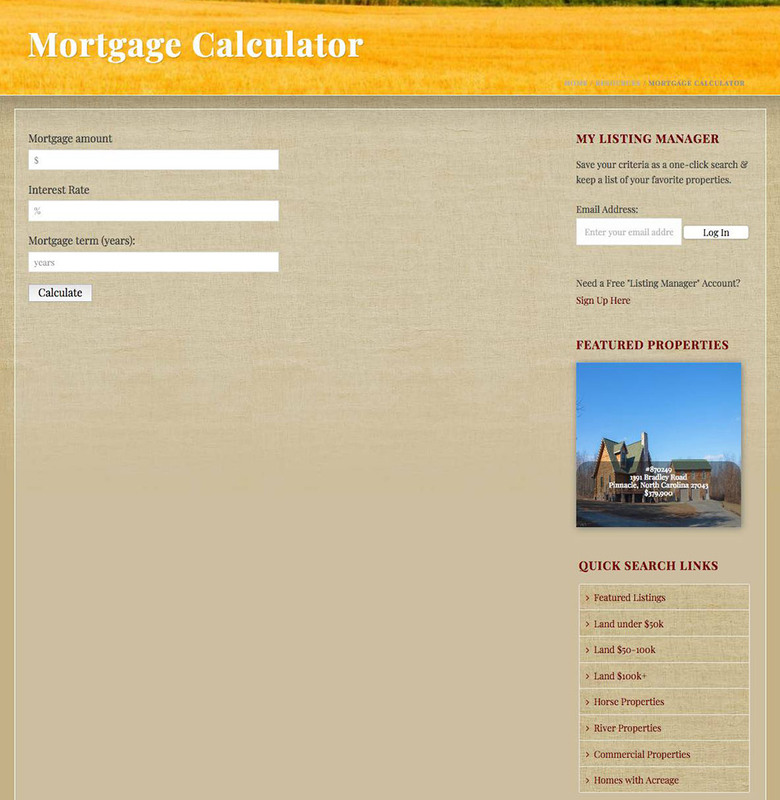 Because they service a wide area we had to integrate two different MLS systems into the site seamlessly so it looked like you were only searching one. 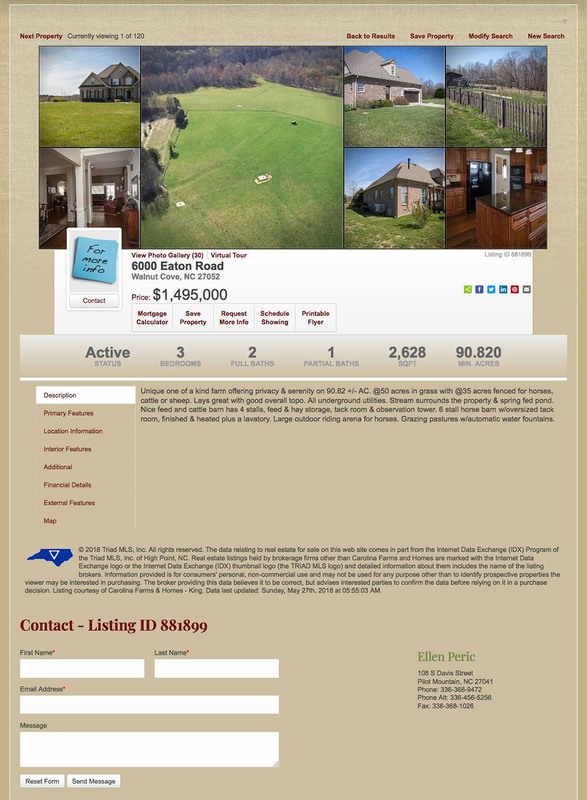 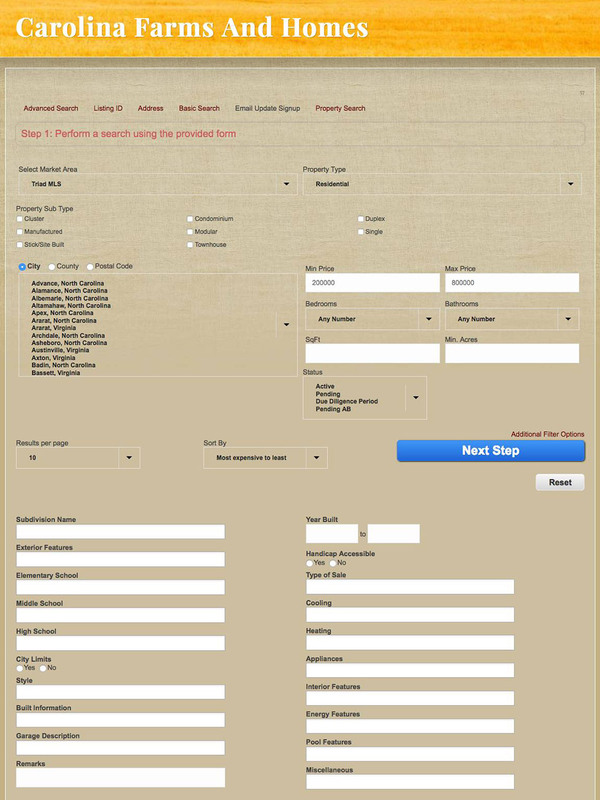 They also have a large team of agents and each agent has their own page which displays their image, bio, contact information and current listings. 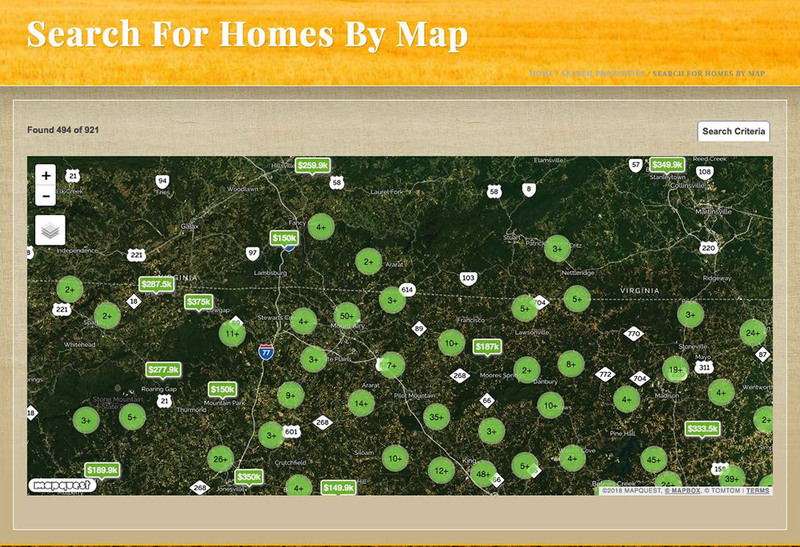 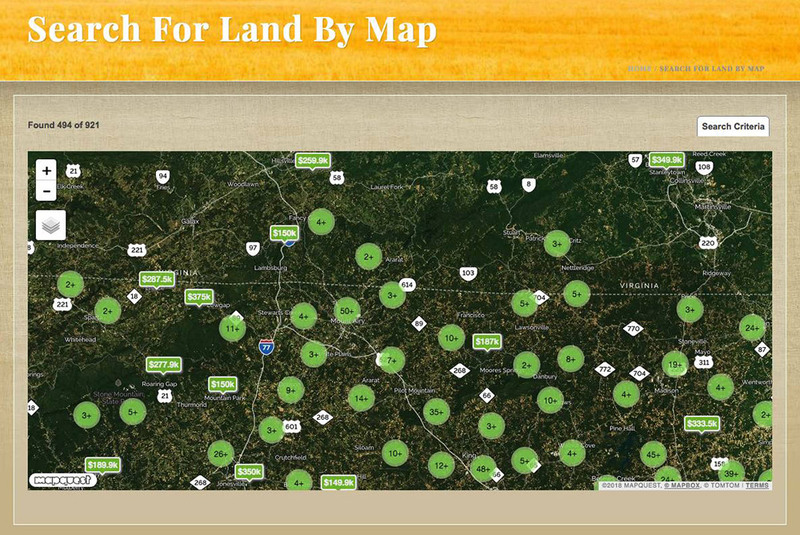 The IDX integration came with a quick search box on the home page and an interactive map search. 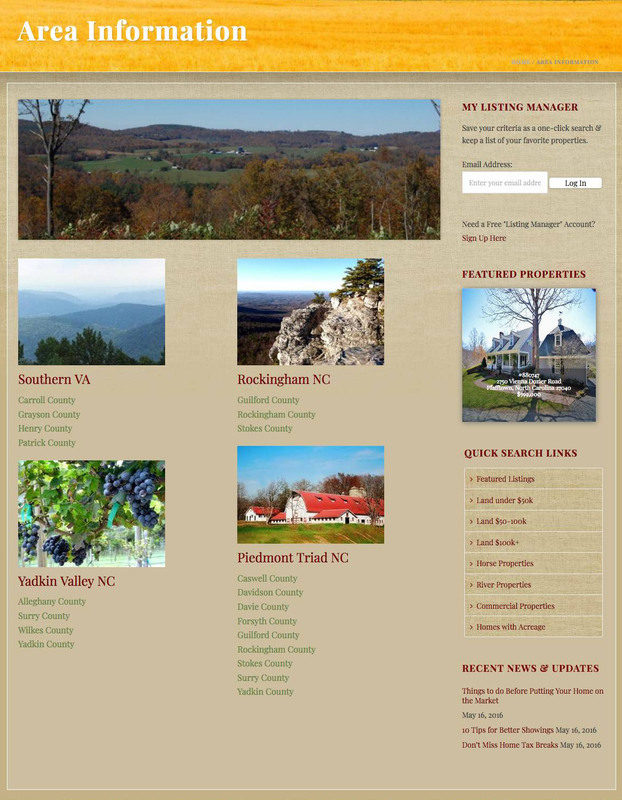 They also have a blog to help disseminate information, position themselves as an expert in their industry and it always helps with search engine optimization. 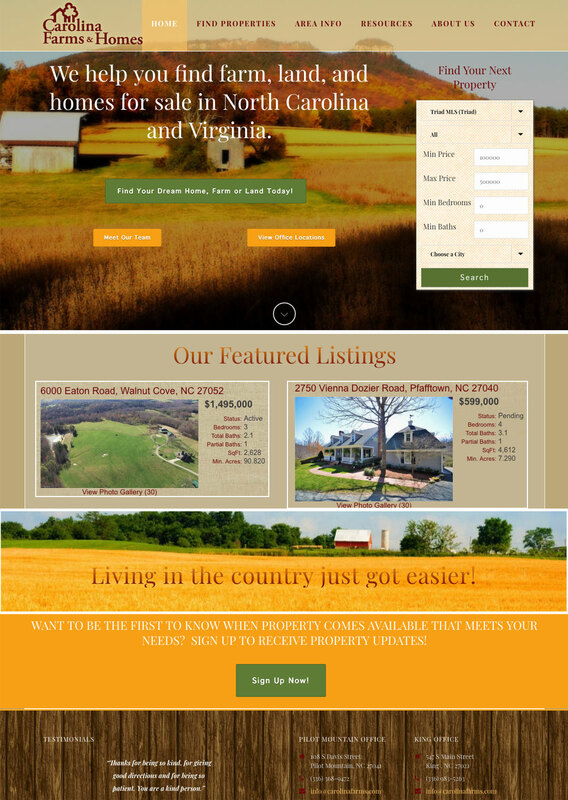 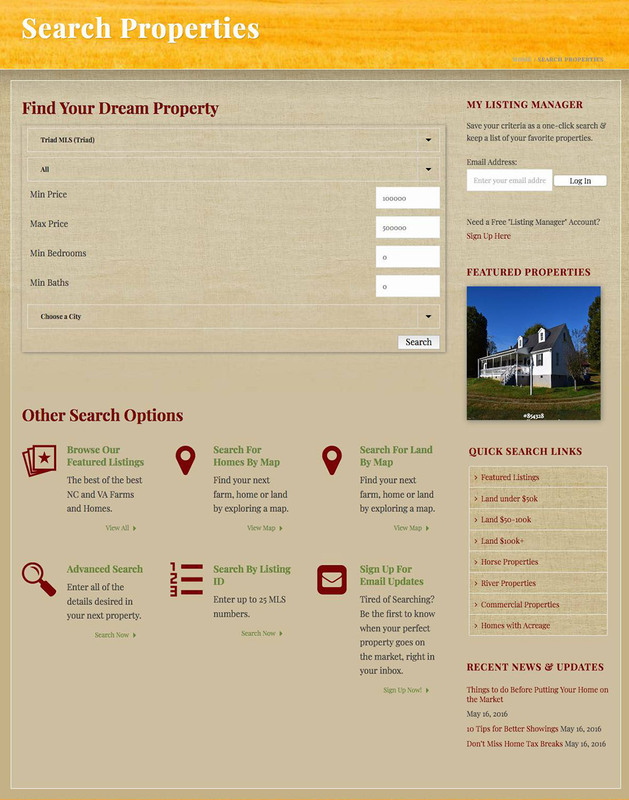 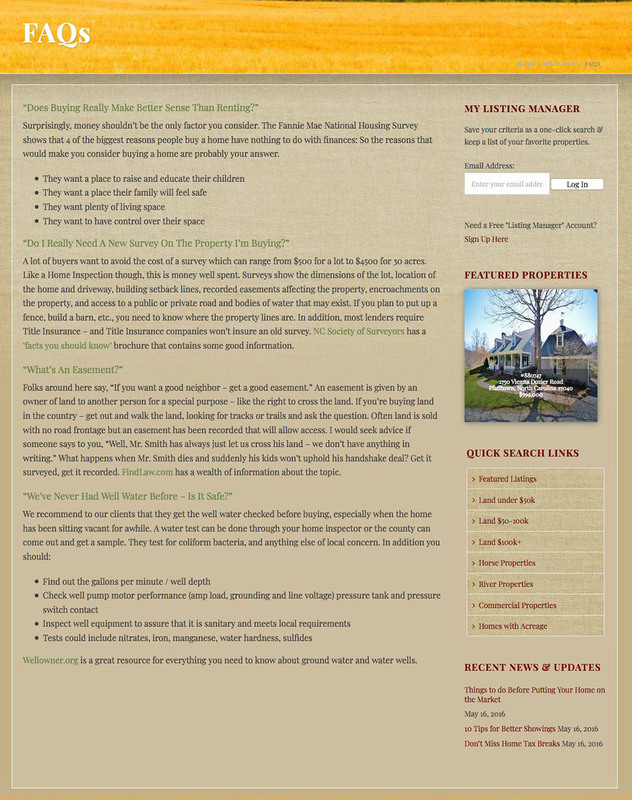 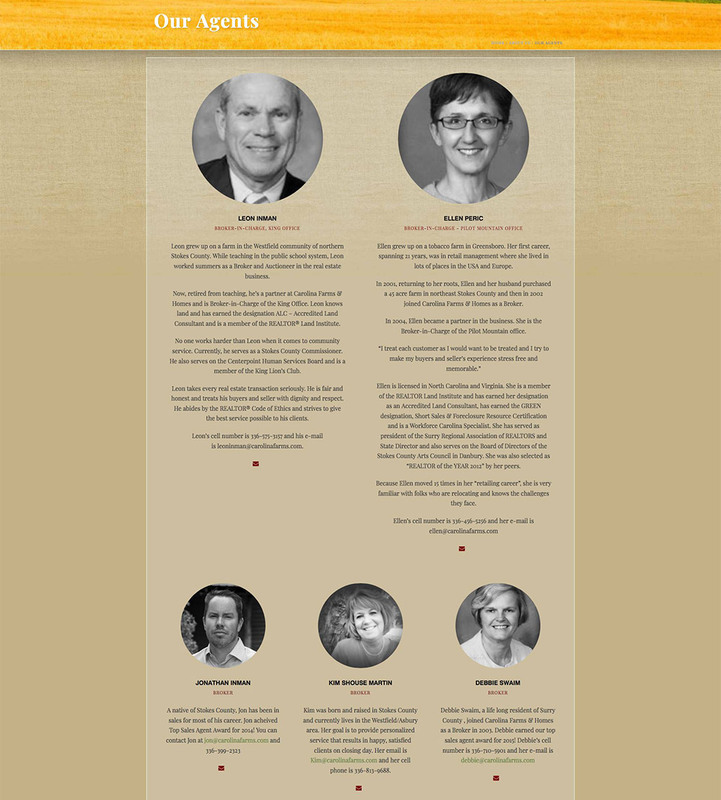 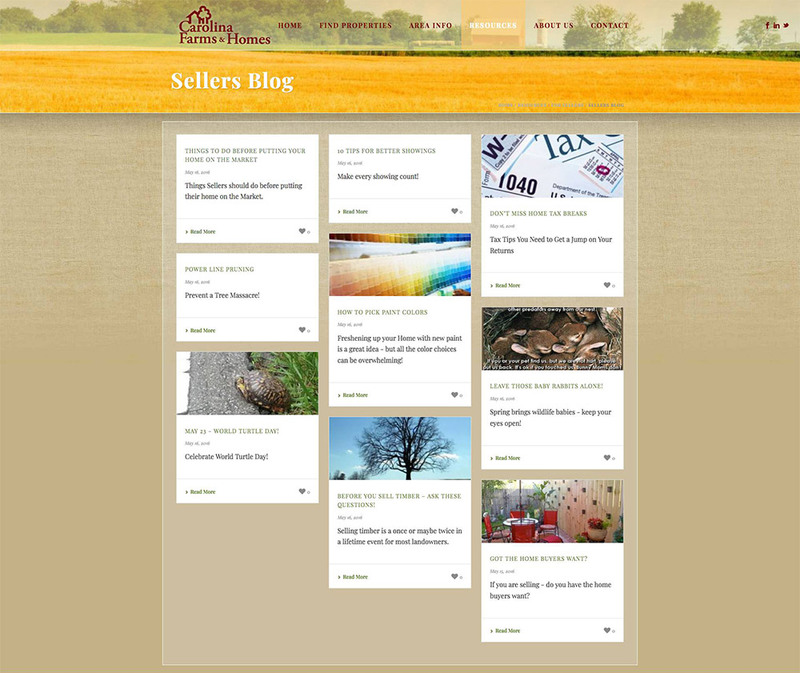 The site was built in a modern WordPress theme with a mobile responsive layout. 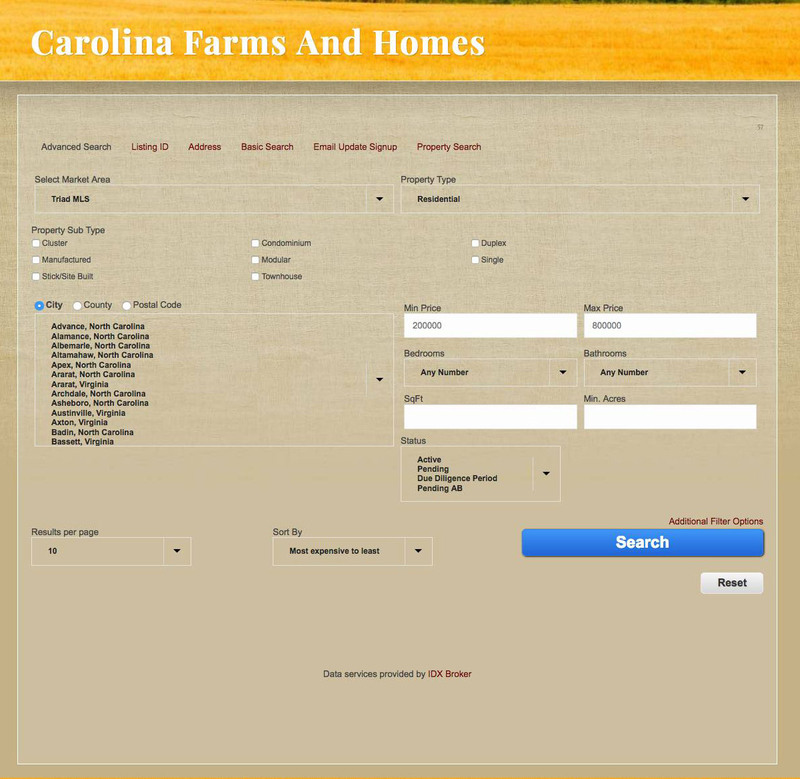 As their host provider we handle all of the updating and maintenance to keep the site in good working order.